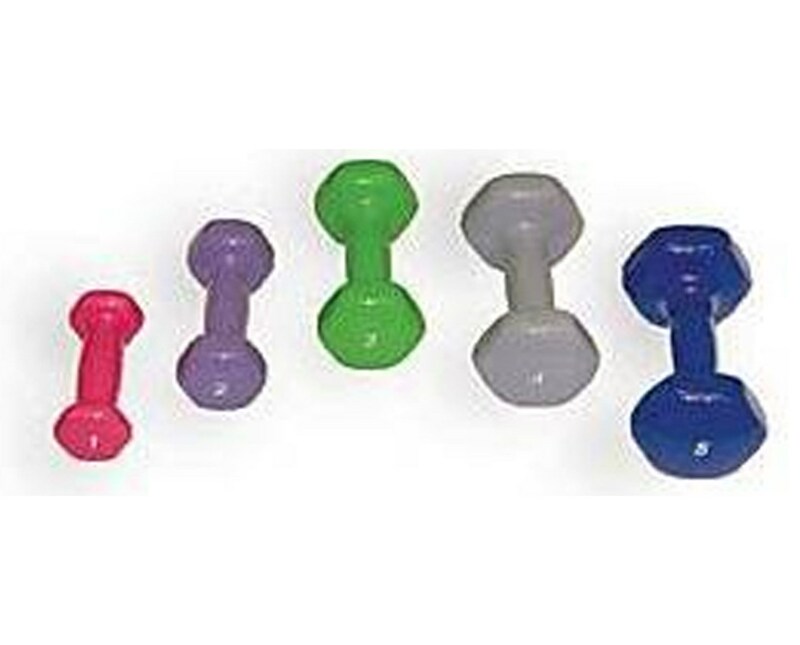 CanDo Vinyl Coated Dumbbell - Lite Weight Set is perfect for total body workouts, physical therapy, weight training, and toning routines as it comes with 10 pieces of dumbbells. Its weight ranges from 1 to 5 lbs. The dumbbells are made of cast iron which means that they are durable and can keep up with most types of weight exercises. They are color-coded to avoid confusion. Users can also find clear marks as guides to weights. 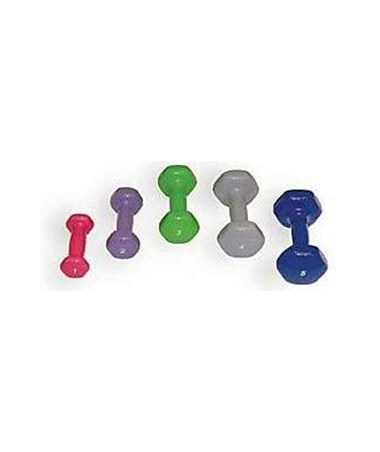 Unlike most dumbbells, this set is a lot comfortable to use since it has a vinyl coating. It lessens the formation of calluses and reduces the risk of scratching surfaces in case unwanted accidents occur.